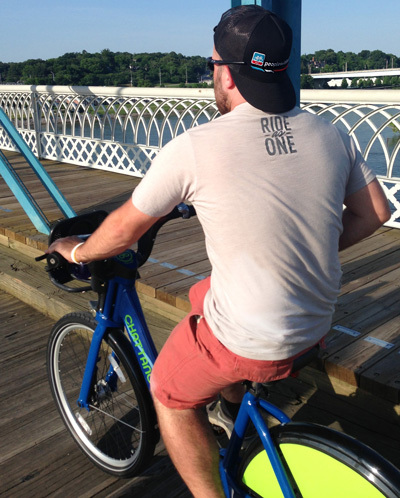 Jon and I were recently in Chattanooga for the Pro Road & Time Trials in Volkswagen’s back yard, and had an amazing time learning about the city’s bike share system. 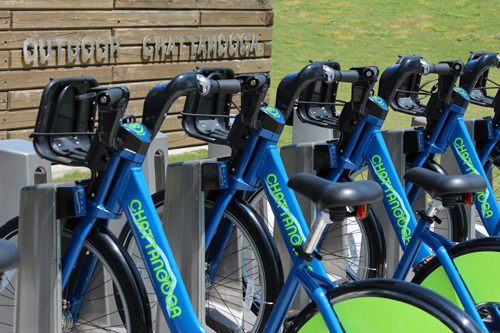 We visited the Volkswagen plant, downtown Chattanooga, and a bike share station located by a crazy fun organization called Outdoor Chattanooga. We had been in several cities that had bike share systems, but always thought they were for tourists or riders who didn’t have access to bikes of their own. Despite the fact that neither Jon nor I had used a bike share system previously, we found plenty of reasons to make bike shares a part of our future travels. 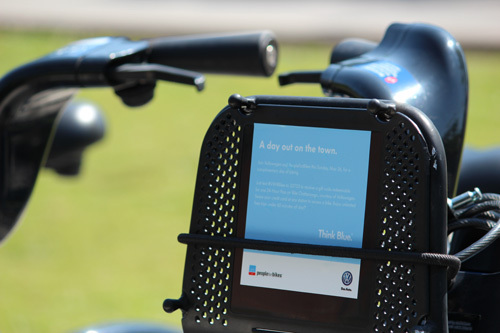 We joined forces with Volkswagen for a bike-share-based scavenger hunt during the US Pro Road & Time Trial national championships in Chattanooga. Because we own our own bikes, it seemed kind of silly to rent bikes to ride around town. As we navigated around the city for different parts of the cycling event, we quickly found out that it was significantly more convenient to use the bike share bikes. Jon and I are absolutely in love with our bikes, so it was nice to not have to worry about locking them up and keeping them safe. We were able drop the bikes off at the stations located all over town and keep moving. Although we had quite the learning curve with the delicate 44-pound bikes, we clearly loved the chance to try out something new that was clearly built to last. Jon cruises across the river. As we were stationed at the bike share near Outdoor Chattanooga, we were able to chat with the locals and tourists who stopped by to enjoy a day of free bikes sponsored by Volkswagen. We started to realize the different motivations others had for using the bikes, from safety to convenience, to getting in a quick ride on their lunch break. A few even used them as a makeshift GoPro! 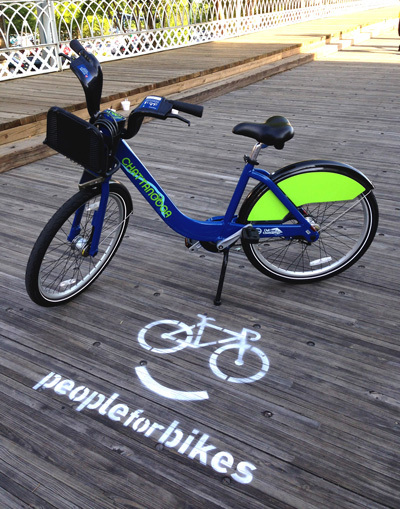 Many own bikes of their own, but use the city’s bikes for quick rides across town to avoid traffic. We met several new riders who claimed to not have been on a bike for years. I could clearly empathize with these riders as my previous bike had training wheels, and had a blast watching them get back on the bike for a ride on the river. The entire city seemed to be behind the bikes and their benefits, which made for an extremely pleasant weekend of racing and riding. Thanks for a great weekend Chattanooga! Oh yes, and bike share bikes have kickstands. We miss kickstands.